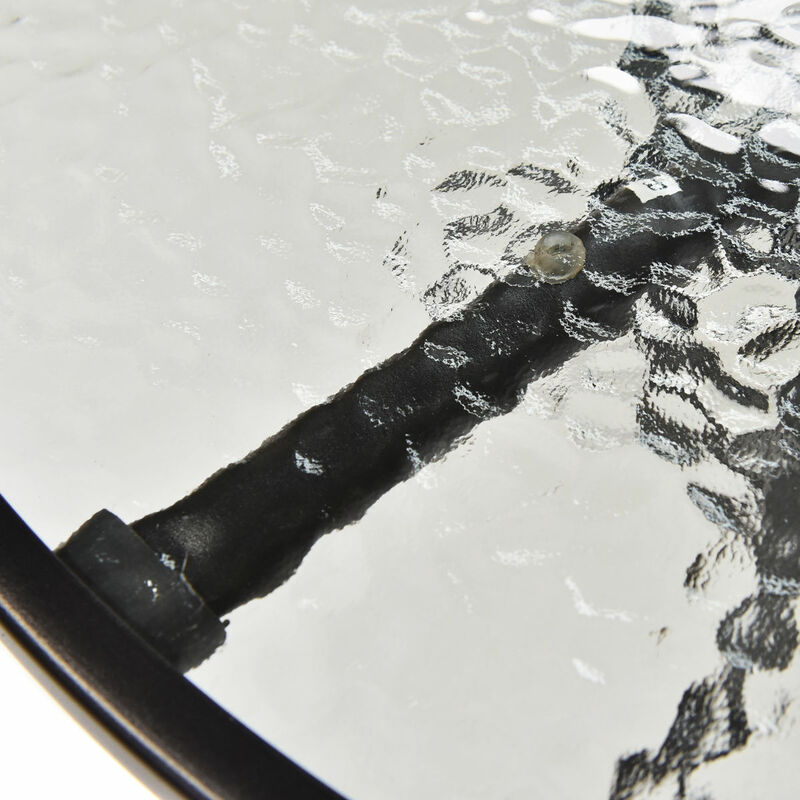 The black Steel Round Table is perfect for your outdoor space. The color is neutral to complement most existing furniture. Contemporary design is exactly the right combination for your Patio or Garden spot. Sit down and enjoy a cup of coffee or have a pleasant meal outside. With it, you will enjoy your happy time. Top with a hole and 2 fixed collars, can erect great canvas umbrellas to shield you from sun or rain. Stylish design and neutral color fit with your backyard decor.